1/48 Tamiya Sherman: Great kit and easy build. Nothing bad to say. 1/48 Tamiya T-34/76: Ditto. Great kit and easy build. Nothing bad to say. 1/48 Academy P-38F/G: Easy build and parts fit is good. 1/48 Italeri Grippen: Awful kit. Poor parts fit, soft plastic. Lacks detail. Wouldn’t recommend this one. 1/35 Tamiya T-72M: Older kit but easy build and everything went together nicely. 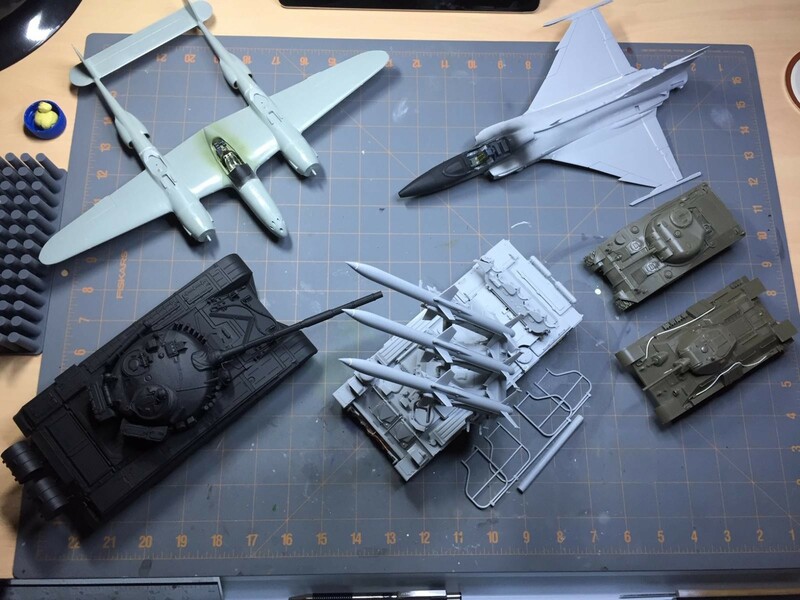 1/35 Trumpter SA-6: Parts for parts sake. Not a great kit but not bad. Lots of work and glad it’s all together. Anyone who talks about an Academy P-38 “fitting good” has my deepest respect! David’s right, that kit is a dog, rivalled only by the Revell/Monogram 1/32 P38. Still get a shiver thinking about that build. Great set! Well done, Bill! Those missiles look very menacing and interesting. I fly DCS World against these SA-6’s and they’re nothing to be trifled with. Despite their age, they’re still quite deadly at short ranges/low altitudes. 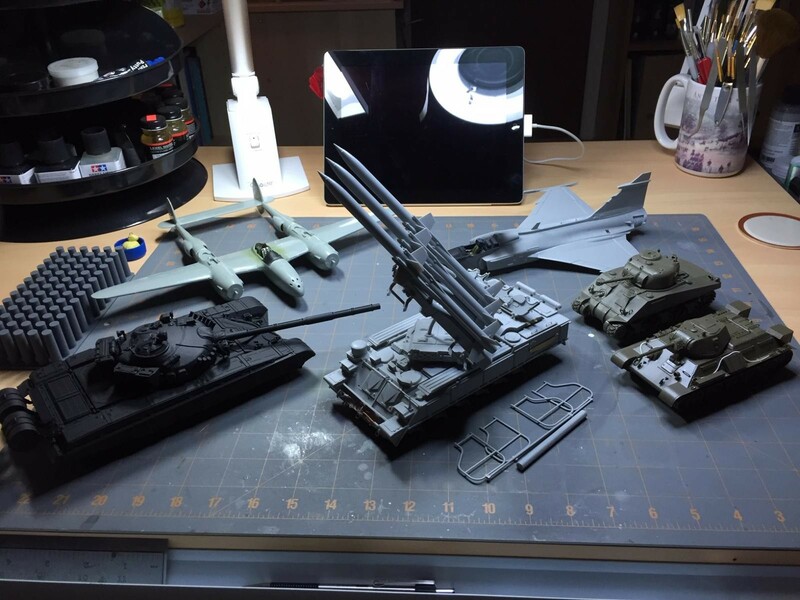 It’s a lot of kit for this non-armor modeler. Nothing like a Tamiya kit. Lots of parts and really glad to have moved it to the easy and fun stage of painting. Good to see you building again. Interesting projects.